Conceptfeedback.com will be over on 31 March 2016. What if you still want feedback? Because we liked concept feedback service so much we feel pretty much obliged to suggest you 3 alternatives, that will allow you to review and reinforce the appearance of your website . 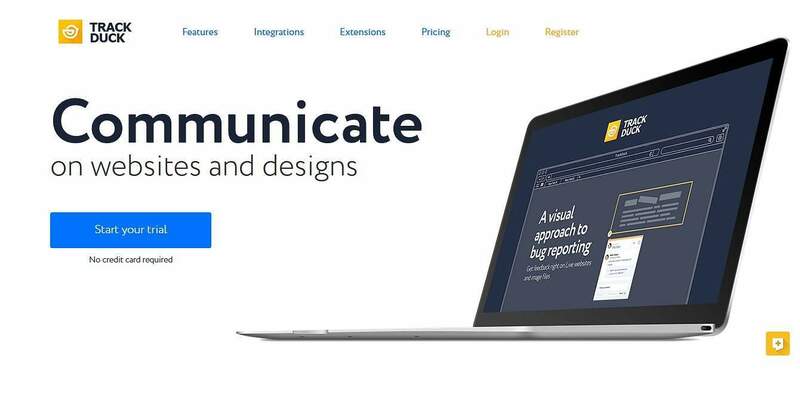 The Criticue Project was born in 2013 in Poland, as a tool for creating feedback, very useful to professionals and businesses to evaluate and improve a website through suggestions on everything from graphic design to the messages within. What’s the main feature of Criticue? It’s the ease of use, you just need to write your Web site URL and a screenshot of the page. You’ll get feedback from professionals who will assess and advise you about what to improve and how. With criticue before you can get some comments you need to help other users, with appropriate comments and reviews, because only after the moderators will read your hopefully useful feedback, you will receive a credit to receive reviews on your site. Clearly you must be prepared to receive both positive and negative feedback as well. 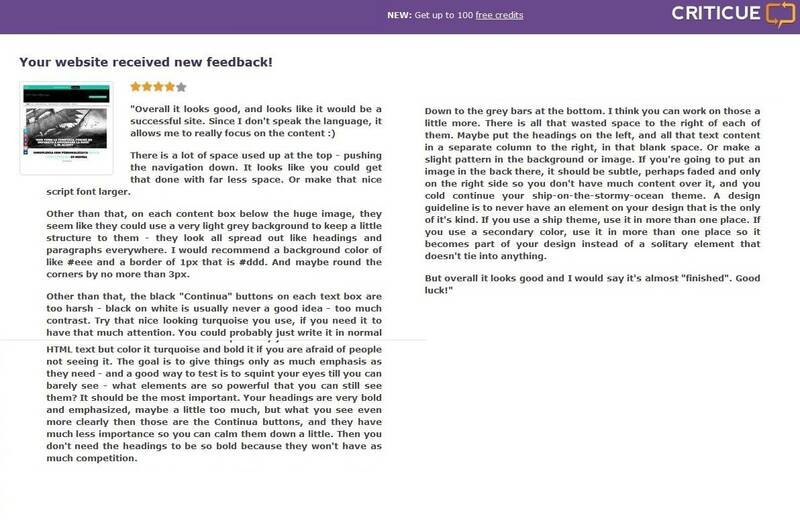 Constructive feedback will allow to really understand where to act and make improvements and where, I used this very service to help my website and it rocks! You can to get in touch with your reviewers, but their identity is totally anonymous and reviews are confidential. Here is an example of a very useful and in-depth feedback I’ve received. You can get as much feedback as you need by reviewing other web pages with a minimum of 50 words and you can also evaluate the website with stars, just like a product review on Amazon. What if you have no time to help others? Five second test is one of the five platforms of the renowned Usability Hub. Why it is all about? It ‘s a service that allows you to get feedback and advice from industry experts about your website, your brochures, your logo and your landing pages. Once the user enters his website/logo screenshot , it will be evaluated by other users, but only for 5 seconds per test! But there’s more..users than are submitted your survey, so you can get focused answers about what they recall and what they think about this or that feature of your website. Questions from the survey could include questions such as: “What’s the company name?” “What do you think of the product / service that the company sells? Trackduck is a tool that allows you to tackle the real problem which is the basis of the internet sites and everything is online: the communication with your customer/user. The waste of time and loss of patience are the two things that make customers go away. So why should I choose Track duck? As their pitch says, track duck provides a “visual feedback and bug tracking” platform. With the free version you can have feedback and bug reports attached to screenshots along with the url of the page they assessed and all the technical details involved. Trackduck allows you to test immediately a demo version, and no credit card is required. Your website visitors can help you too! You’ll be able to improve your website after it launched as well, by asking feedback to all the visitors of your website. This way you will reduce test time and design problems to make your website bug free and more customer friendly. You can choose to integrate your track duck tools with your organization’s tools such as CRM systems, which are customer relationship management systems that help your enterprise to leverage customer data and their feedback to allow you the close more deals and to sell more product/services. The free version of Trackduck lasts exactly 14 days, and it’s enough time to allow you to evaluate every feature of this feedback platform.